Welcome to the world of Deverry. 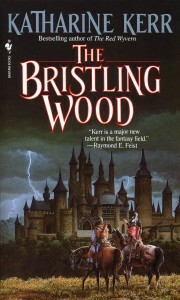 In these first steps into Katharine Kerr’s epic fantasy series, readers are introduced Jill, a young girl with strange dreams; her father, the mercenary soldier Cullyn; the exiled berserker Rhodry Maelwaedd; and the ancient and powerful herbman Nevyn, all bound in a struggle against darkness. . . and a quest to fulfill the destinies determined centuries ago. Even as a young girl, Jill was a favorite of the magical, mysterious Wildfolk, who appeared to her from their invisible realm. Little did she know her extraordinary friends represented but a glimpse of a forgotten past and a fateful future. Four hundred years-and many lifetimes-ago, one selfish young lord caused the death of two innocent lovers. Then and there he vowed never to rest until he’d righted that wrong and laid the foundation for the lives of Jill and all those whom she would hold dear: her father, the mercenary soldier Cullyn; the exiled berserker Rhodry Maelwaedd; and the ancient and powerful herbman Nevyn, all bound in a struggle against darkness. 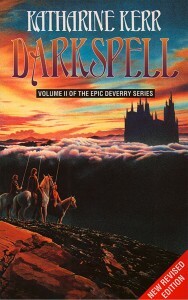 . . and a quest to fulfill the destinies determined centuries ago. Here in this newly revised edition comes the incredible novel that began one of the best-loved fantasy seers in recent years–a tale of bold adventure and timeless love, perilous battle and pure magic. 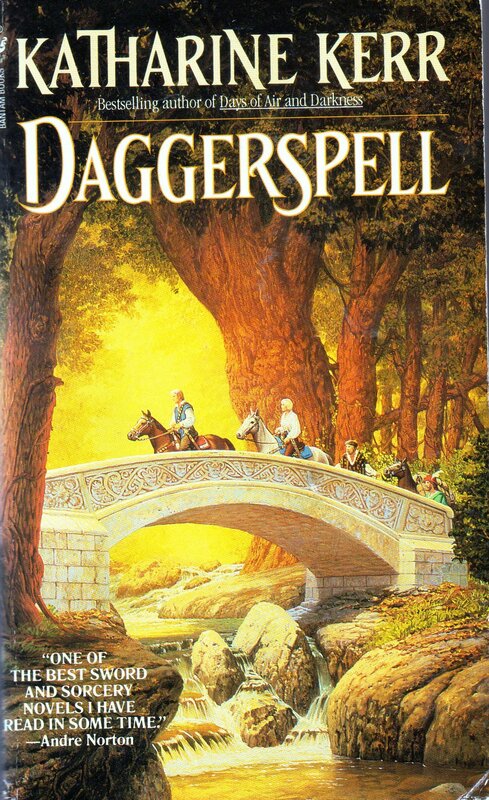 The epic saga that began with the Daggerspell continues–a tale of might and magic, lust and glory, dark danger and poignant desires that echo from Deverry’s sapphire waters to its secret mountain caverns. On the long roads of Deverry ride two mercenaries whose fates like hidden deep in that of their own land. 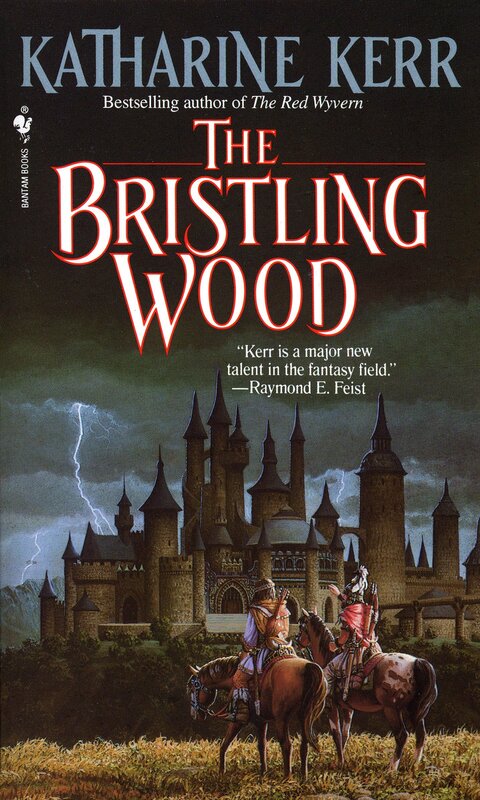 But Lord Rhodry, exiled from the dragon court of Aberwyn, has yet to discover his true parentage, and his swordmaster-lover, Jill, has barely glimpsed her awesome powers. Meanwhile, the ancient sorcerer Nevyn, held back by his vows from boldly intervening in their lives, can only watch and wait as Rhodry and Jill move ever closer to danger. For as the two struggle to recover the Great Stone, the mystic jewel that guides the conscience of the kingship of Deverry, malevolent dark masters are weaving terrifying spells against them–and displacing messengers of death. 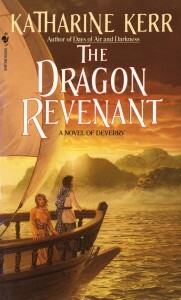 Over a thousand years ago the People of Deverry were driven from their splendid kingdom by their enemy, the Hordes, and forced to find sanctuary in the remote forests in the east of their lands where they eventually settled. Succeeding generations remembered these terrible events as the Burning – and they never forgot the cities, towns and marvels of the far, far west. 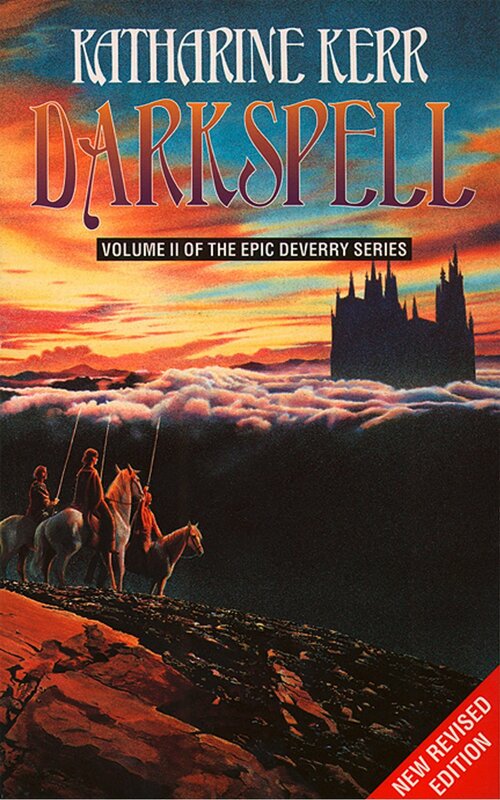 “Dawnspell”, the third compelling volume in Katharine Kerr’s epic “Deverry” series, continues the bold saga of Nevyn, Rhodry and Jill as they battle with the evil forces threatening the world of Deverry in the decades that follow the Burning. Rooted in Celtic mythology, this dazzling novel offers a vision of an extraordinary universe of magicians, kings, elves and prophets, of a world where love is triumphant – even over death. Katharine Kerr returns to this enchanted kingdom, where the wheels of destiny are turning anew. 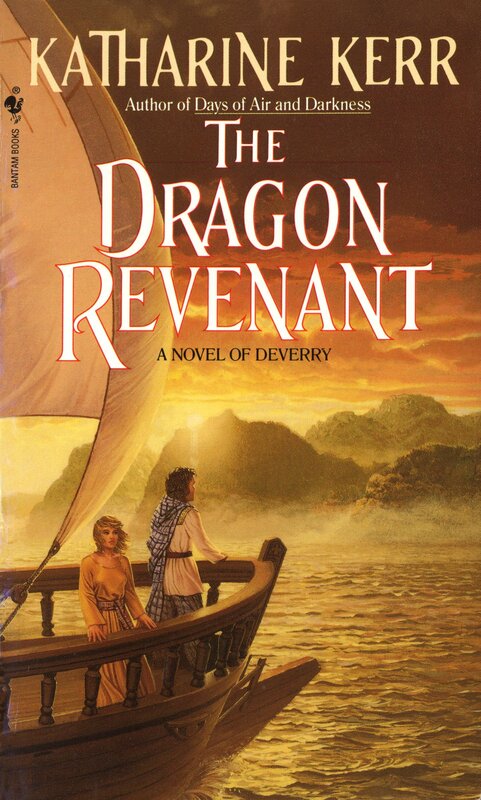 For years the provinces of Deverry have been in turmoil; now the conflict escalates with the kidnapping of Rhodry Maelwaedd, heir to the throne of Aberwyn. Intent on rescuing him, his beloved Jill and the elven wizard Salamander infiltrate the distant land of Bardex, where Rhodry is held captive. Tied to Deverry by obligation and circumstance, the immortal wizard Nevyn begins to see that all the kingdom’s problems can be traced to a single source: a master of dark magics, backed by a network of evil that stretches across the sea. Now Nevyn understands that he too is being lured away to Bardek–and into a subtle, deadly trap designed especially for him.